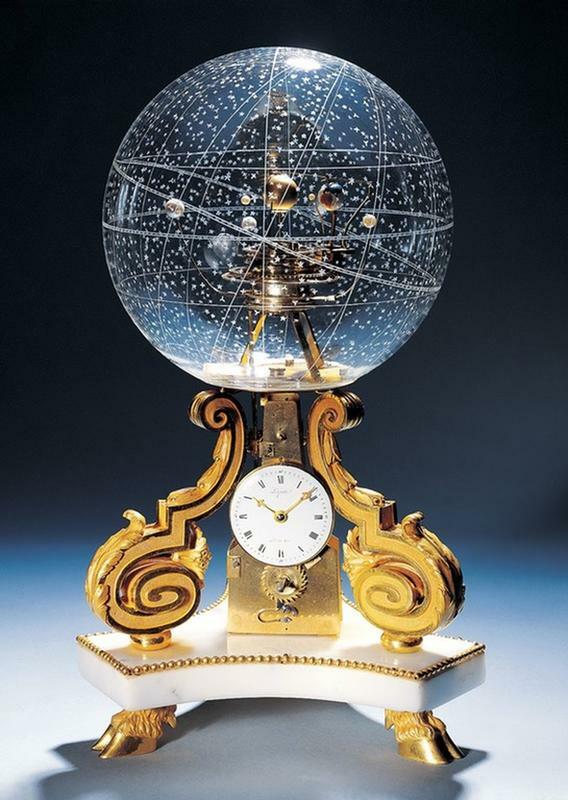 This beautiful art piece below is called Pendulette de table avec Planetarium (Planetarium Table Clock) and was made in 1770 in Paris. It keeps time, and the earth rotates around the sun in real-time. The other five planets rotate as well - up, down, around, in relation to the etched constellations of precisely positioned stars on the crystal globe, which if you are smart enough will reveal what season it is. The planetarium clock can be found at the Beyer Museum of Time in the city of Zürich, Switzerland and is one of the world’s leading private museums dedicated to the horology. The Beyer Watch and Clock Museum contains chronological instruments dating from 1400 BC right up to the present day: shadow sticks, sundials, oil clocks, hourglasses, water clocks, grandfather clocks, table clocks, pocket watches, wristwatches, and scientific and navigation chronometers.